Adventures and vacations in the countryside are made even more lovely by the comprehensive comfort offered by local inns. You will find extraordinary hospitality, cozy rooms, and delicious local dishes, all under one roof. 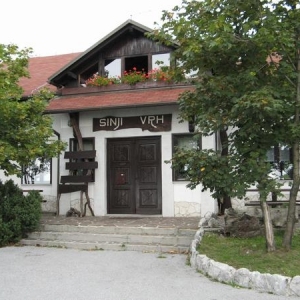 This inn and pizzeria is located on the regional road from Ajdovščina to Vipava. 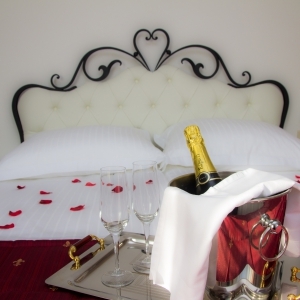 Guests will find a cozy and comfortable atmosphere in 3 modern rooms with 5 beds each, all for a great price. It is also a popular destination for paragliders. Number of beds: 15. 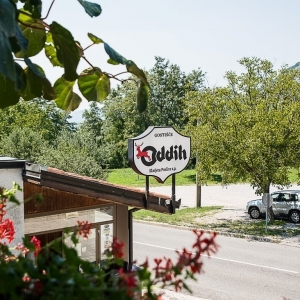 This guesthouse lies 1000 meters above sea level, offering guests a stunning view of the Vipava Valley. Special features: an artistic atmosphere due to the many artistic retreats nearby, as well as a palate of local dishes, whose ingredients are grown locally. Number of beds: 30. There are 5 rooms with 2 beds decked out in traditional style, and one of the rooms has a jacuzzi. Special features: there is a small petting zoo by the restaurant. 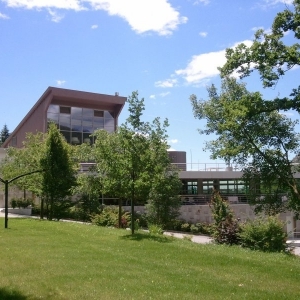 Guests can choose from 6 rooms with 2 beds that have breath-taking views of the emerald Soča River, the impressive Solkan bridge, and the old Sveta Gora basilica. Special features: the restaurant is located in the old lower turnhouse of the Sveta Gora funicular. 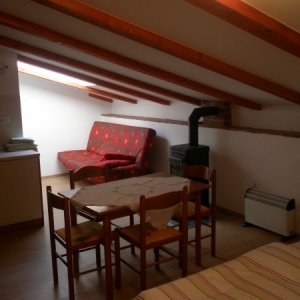 The Branik inn is located 17 km from Nova Gorica and offers guests a la carte meals and air-conditioned rooms. Nearby, there are many cycling trails and local attractions, including the Rihemberk castle, built in the 13th century, which stands just 500 m away. The Kogoj family has been running this inn for more than 20 years, on this extremely sunny and peaceful location right on the edge of the Bilje hills. Special features after their celebration or meal guests can tuck in for a good night’s sleep, looking forward to a well-stocked European breakfast. Number of beds: 14. The Stara Pošta stands along the walls of the Ancient Roman fortress Ad Pirum in Hrušica. In addition to the extraordinary home-cooked meals, there are also 5 rooms available for guests. Special features: a small museum collection and an intimate connection with the great outdoors. Number of beds: 12. This inn is a fabulous starting point for experiencing all the tourist attractions and spending an active, healthy vacation. Several rooms with 2 and 3 beds are available with common bathrooms. This inn with almost 100 years of tradition also provides guests with rooms decorated in the old, traditional Karst style. Special features: an individual touch and a playground for children. Number of seats: 90 inside, 60 in the garden. Number of beds: 23. 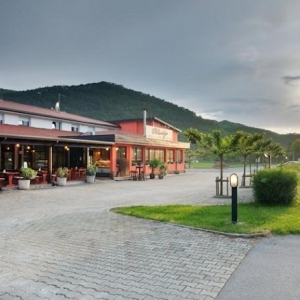 This hotel lies at the heart of the Trnovo Forest, where the fresh air and pristine wilderness will capture your heart. Guests can also liven up their stay on 2 tennis courts with artificial grass, a volleyball court, a futsal court, table tennis, running, cycling, and hiking.